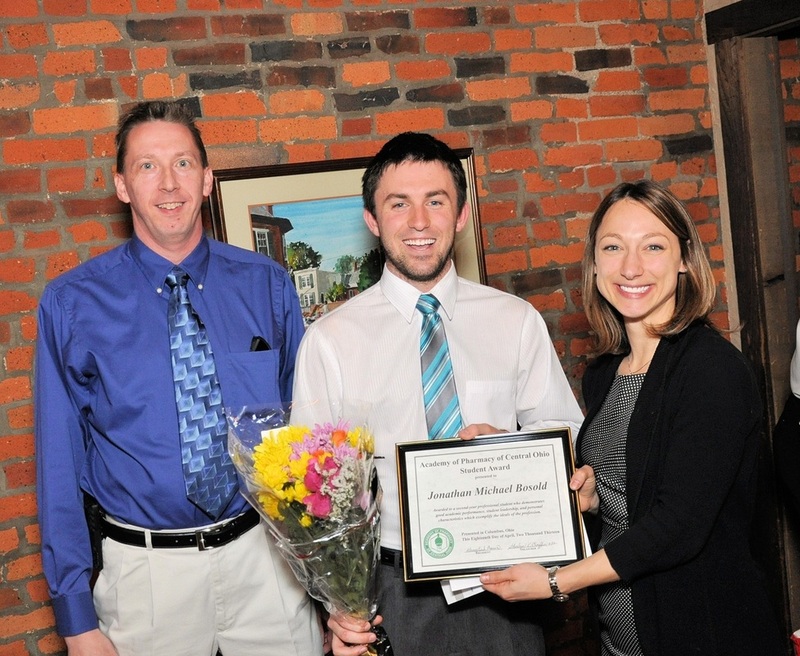 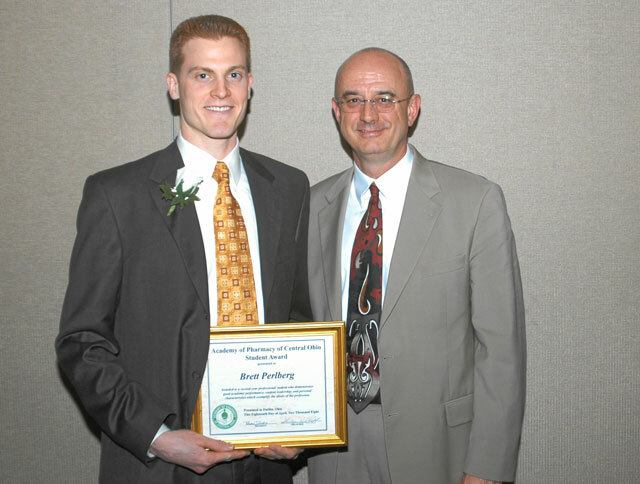 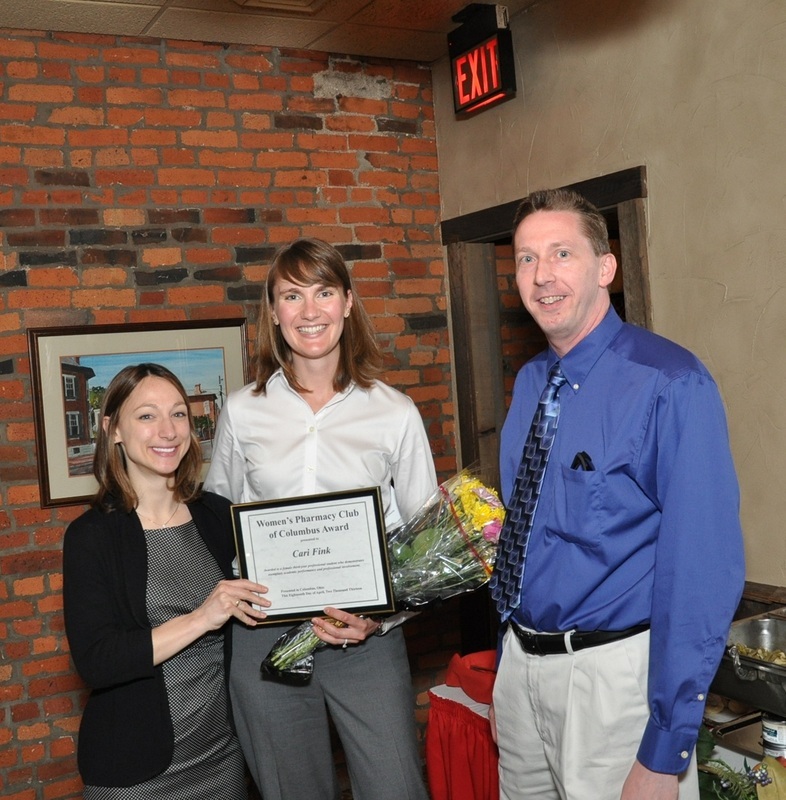 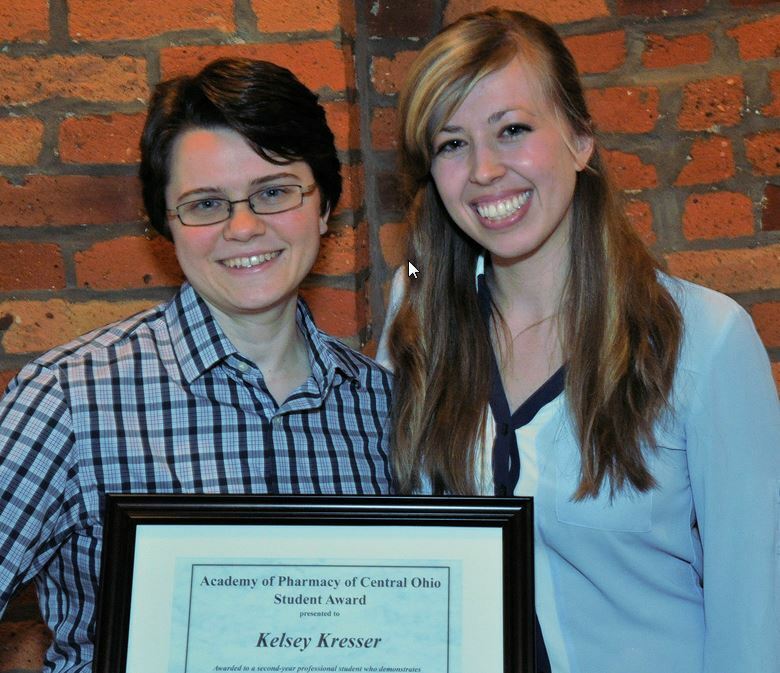 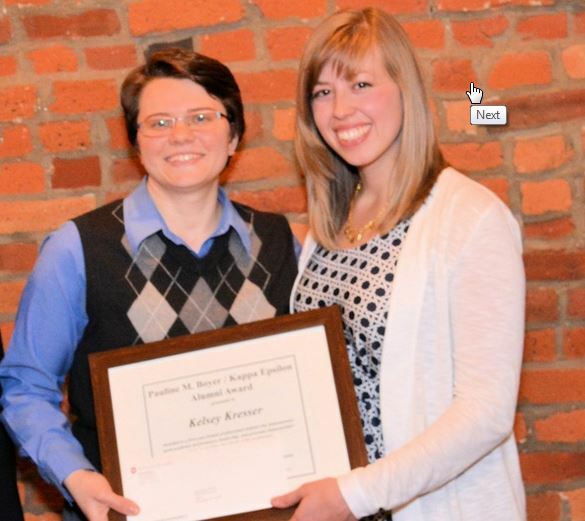 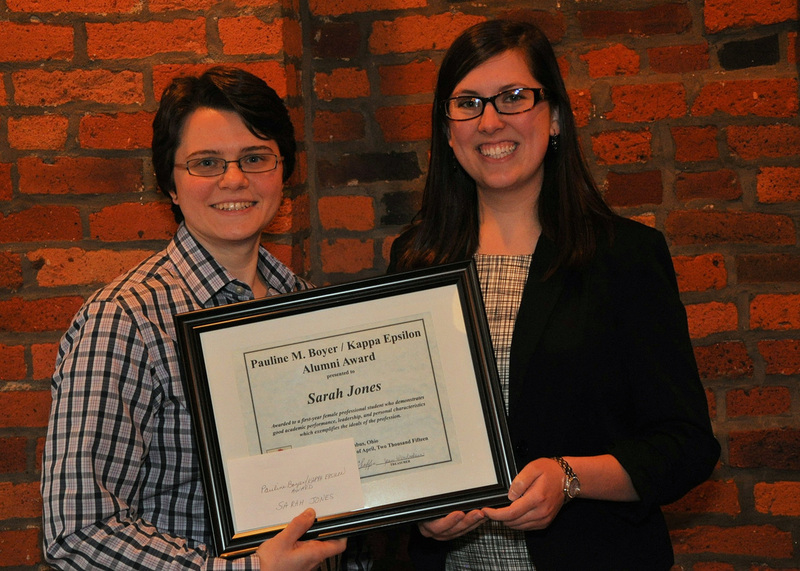 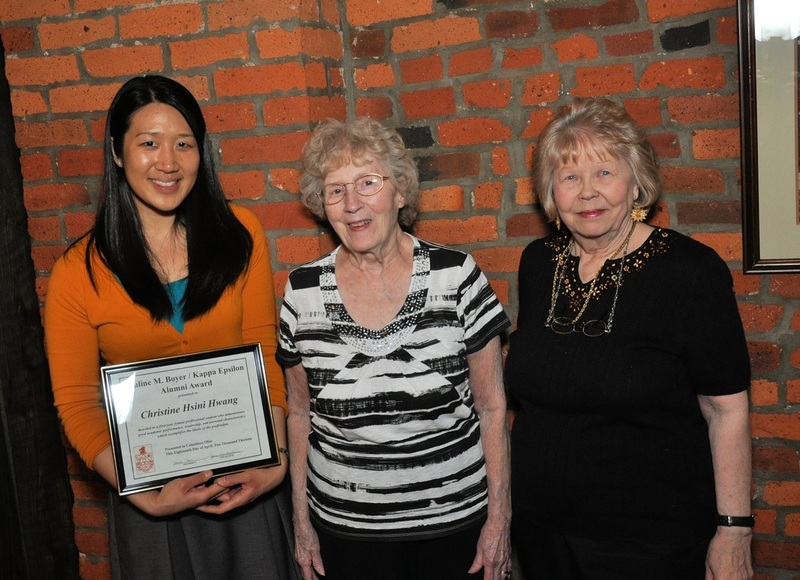 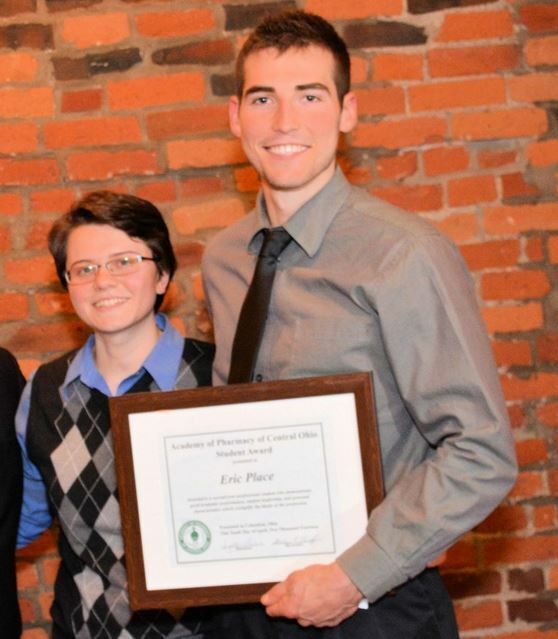 On a yearly basis, the Academy of Pharmacy of Central Ohio presents several awards to pharmacy students. 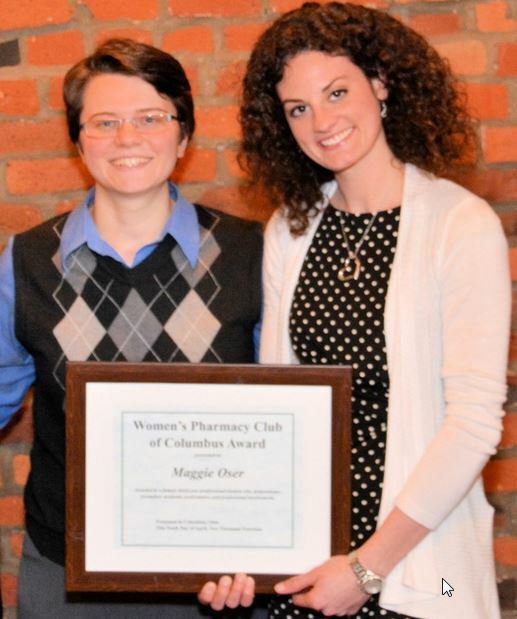 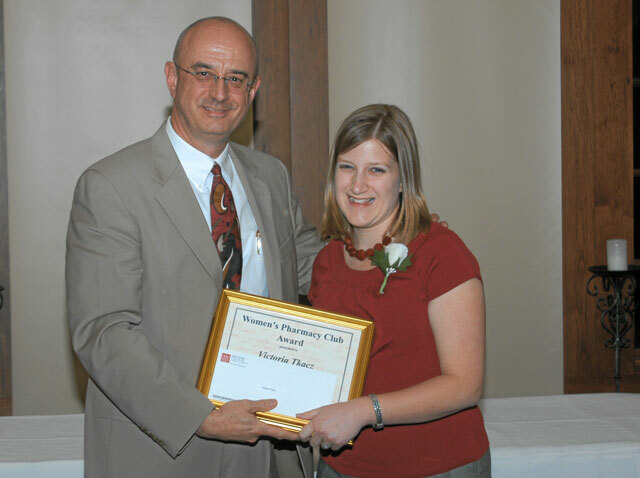 Awarded to a 1st year female professional student who demonstrates good academic performance, leadership, and personal characteristics which exemplifies the ideals of the profession. 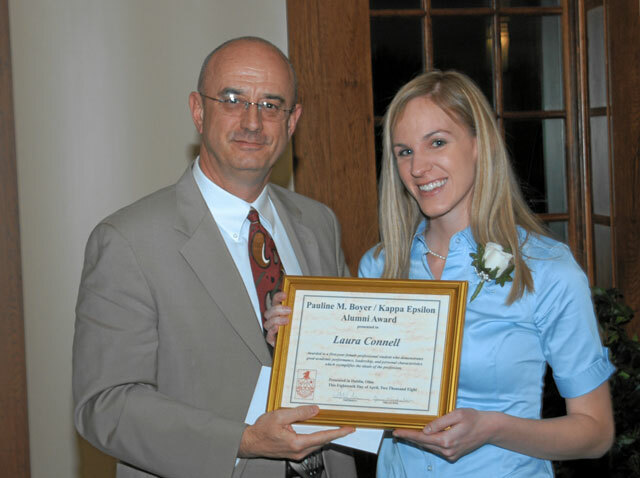 Awarded to a 2nd year professional student who demonstrates good academic performance, student leadership, and personal characteristics which exemplify the ideals of the profession. 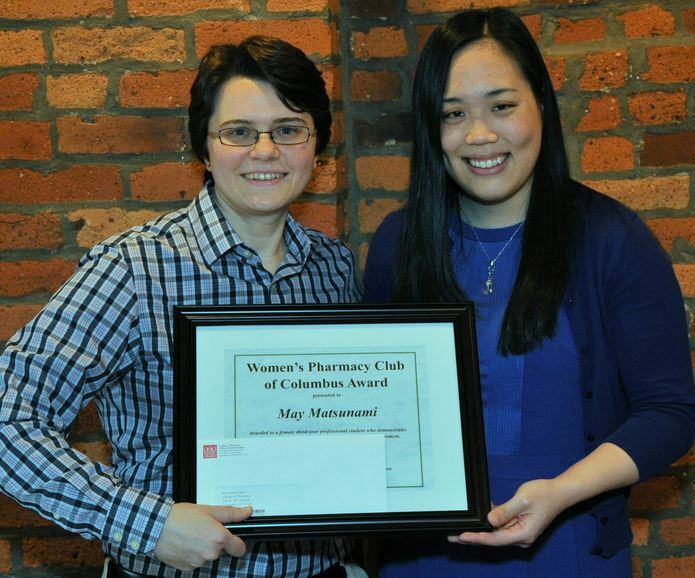 Awarded to a female 3rd year professional student who demonstrates exemplary academic performance and professional involvement.